PALATE: Whooooaaaaaaa. Gonna need some water. The alcohol is burning through brutish spices that muscle their way to the top of a pile of apples and pears. A sweet creamy almost marshmallowy explosion of tamed fruit sugars hide just below the spicy surface. This is going to need some water. The finish is a peppery bombardment of the tongue ripe with oak and more pear/apple mix. FINISH: a mashed pear drizzled in cinnamon and pepper shows up in the finish, it needs desperately to be baked. This is a killer dram. 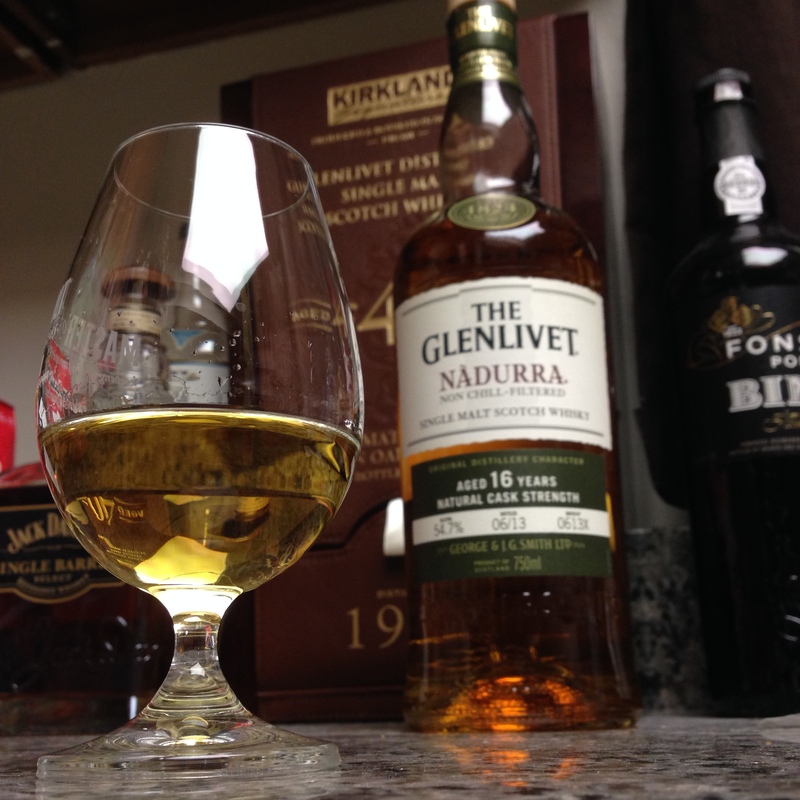 Great job Glenlivet!